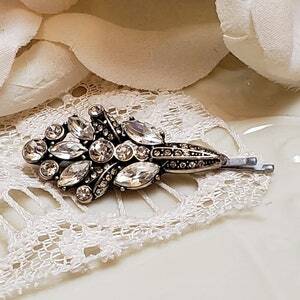 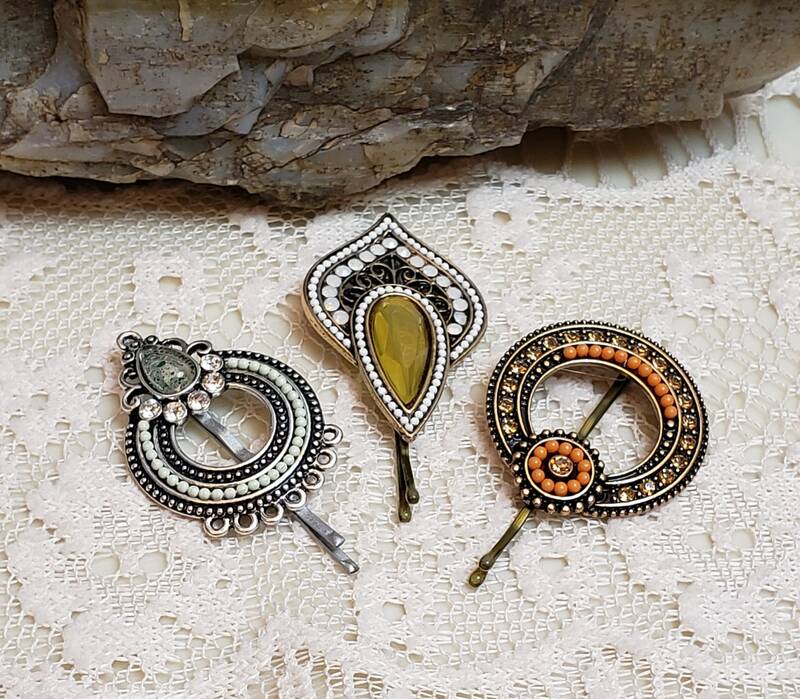 Set of three stunning beaded tichel/hair pins! 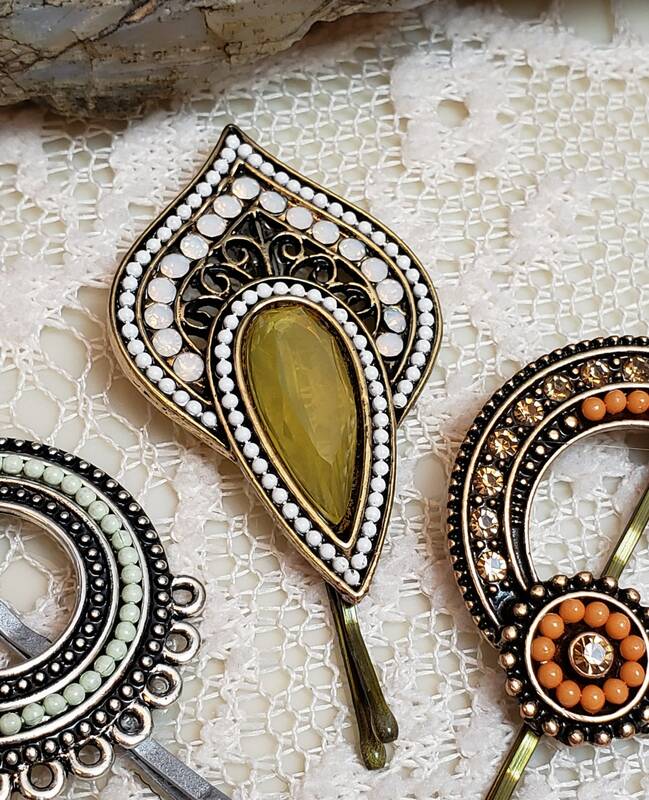 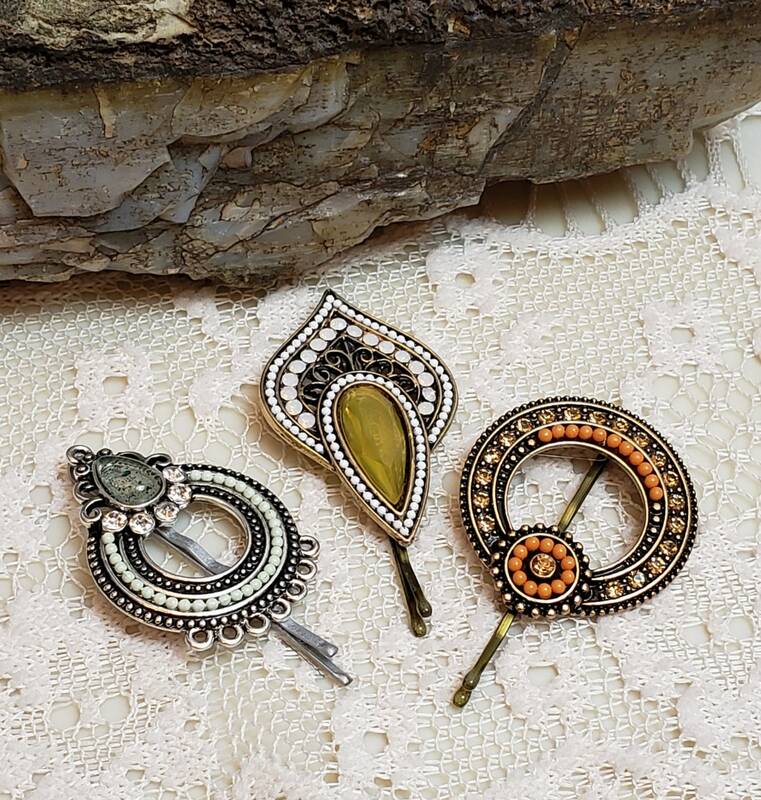 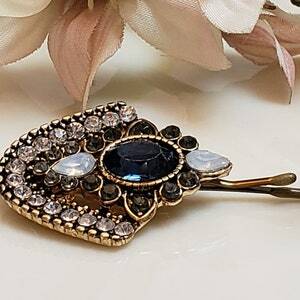 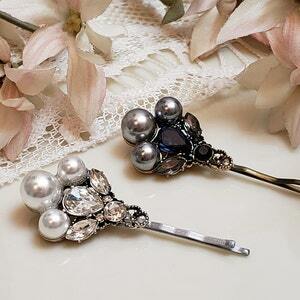 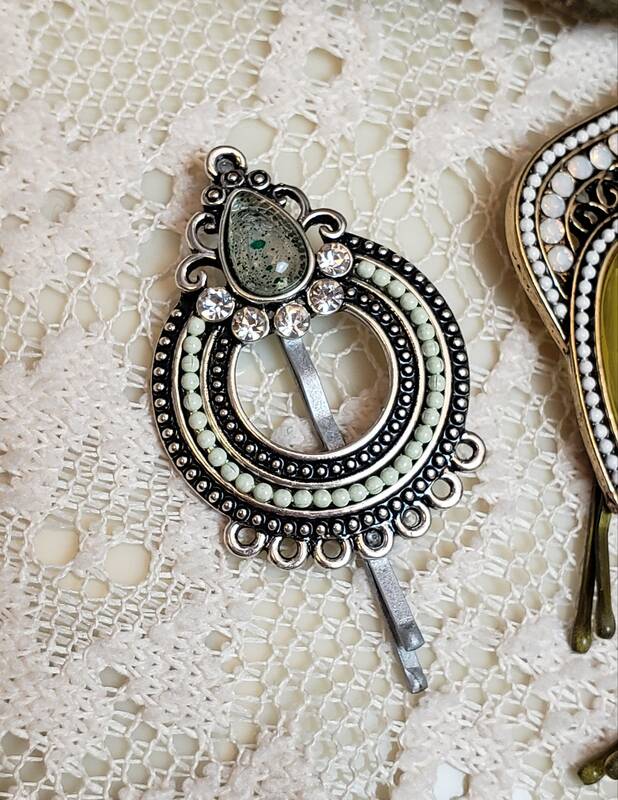 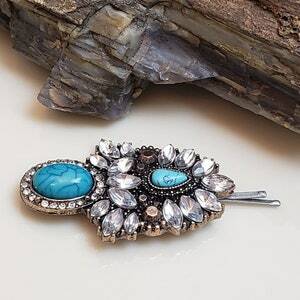 Go boho with each unique artistically designed decorative bobby pin. 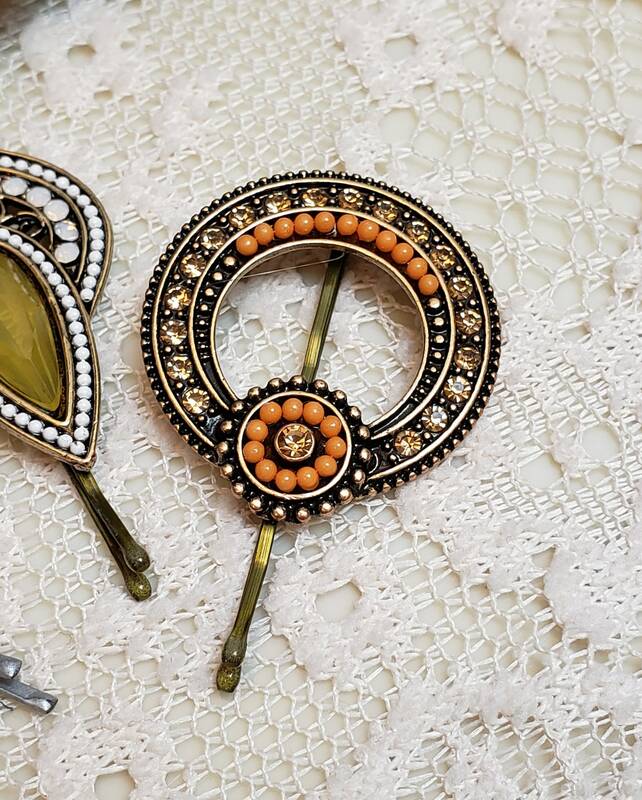 *Two in vintage gold settings and one in a silver setting.